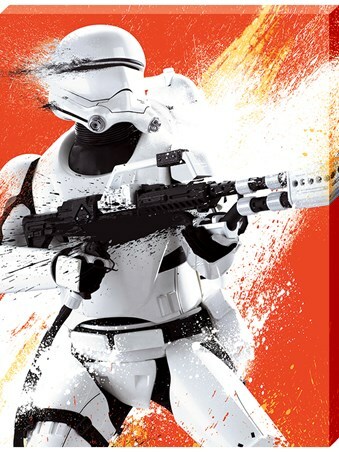 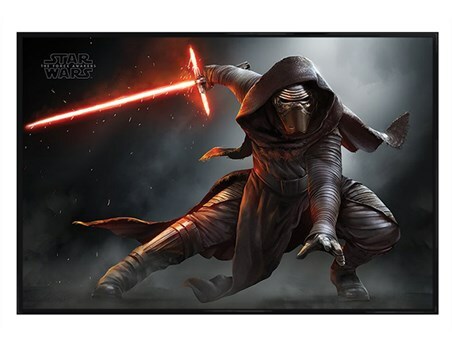 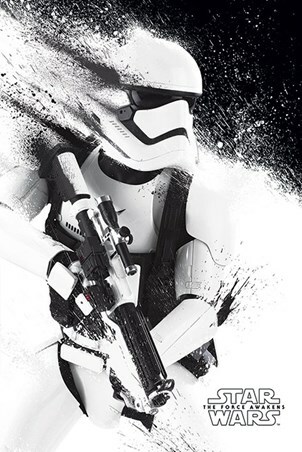 Star Wars Mini Poster: If you were as excited as we were regarding the latest instalment of the Star Wars franchise, this is a must have to add to your collection. 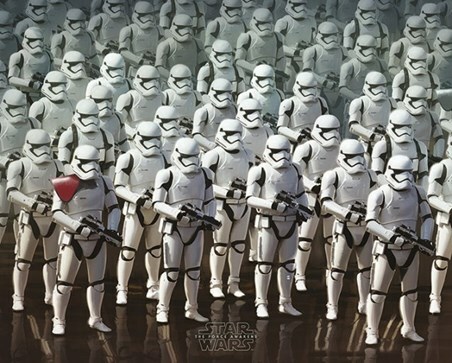 In a blur of black-and-white, an army of elite soldiers are seen standing to attention with armed weaponry. 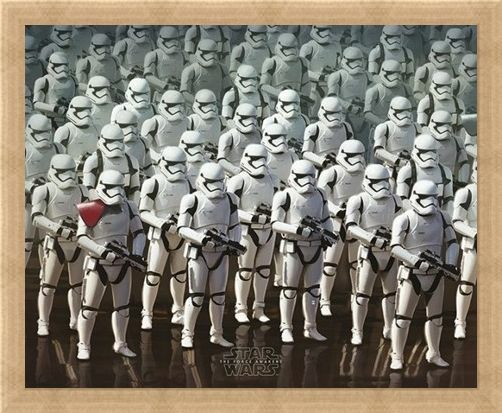 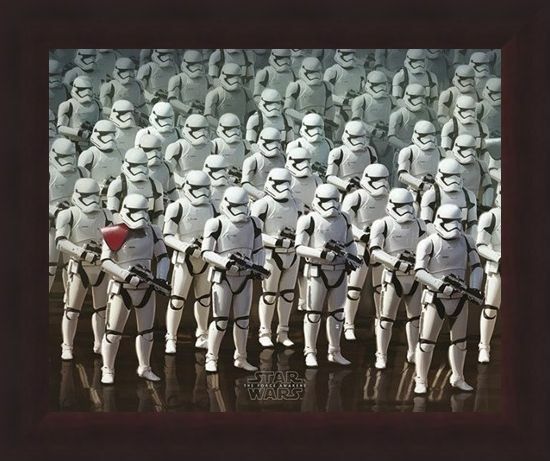 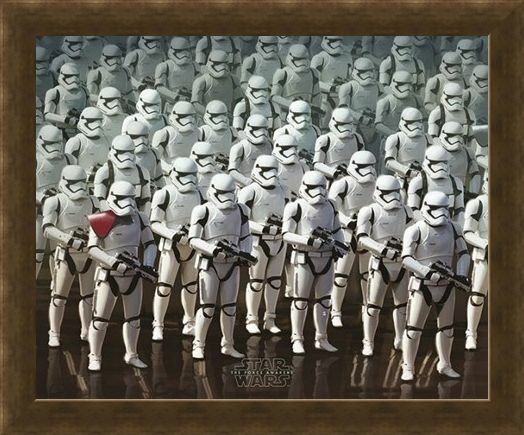 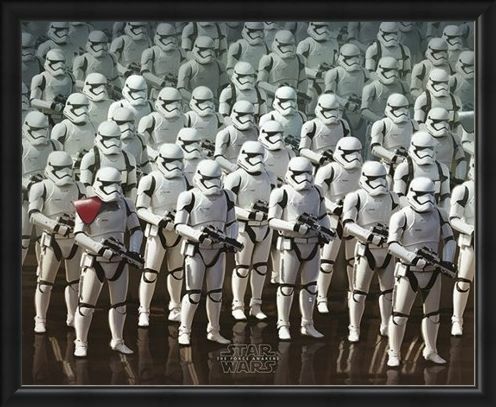 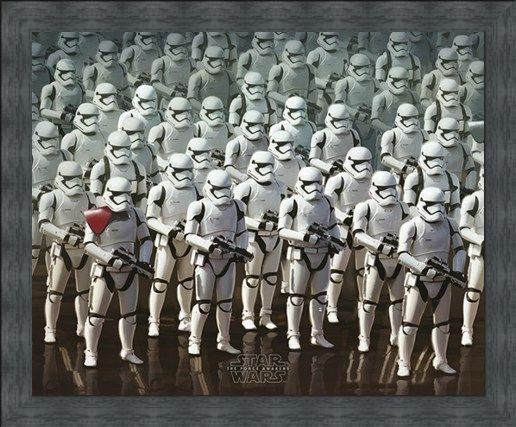 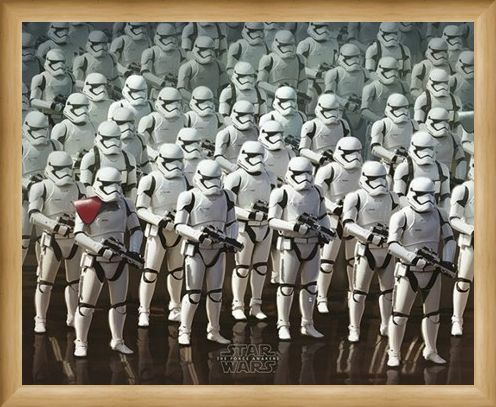 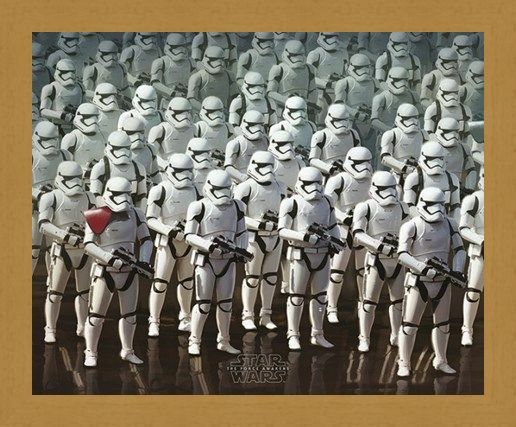 This collection of Stormtroopers would make a great gift for any Sci-fi fan or for yourself to protect your room as they stand on your wall. 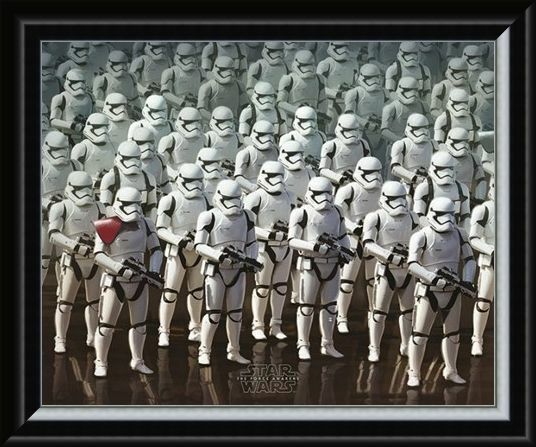 High quality, framed Stormtrooper Elite Army, Star Wars Episode VII mini poster with a bespoke frame by our custom framing service.